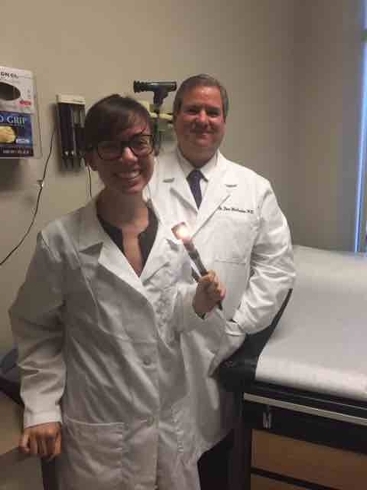 Toward the end of my time in the office, Dr. Michaels asked me if I wanted to interact with patients on my own before their appointment began. In this new task, I would introduce myself to the patient and ask them to explain and elaborate on what they had reported on their office visit forms. While a little nervous for this new task, I was excited for this new chance to develop my interaction with the patients. I loved talking with these people and hearing their stories. After discussing their symptoms, the patients would often launch into other stories about their life. One woman told me about her dog who had caused her to fall to the ground and another hinted at her interest in gardening after discovering that I go to school in the City of Roses. While these people may have been going to the office for their body, these moments were beautiful reminders that humans are far more than what can measured in a blood test. In addition to learning an immense amount about the diagnosis process and the noteworthy symptoms of common (or uncommon) illnesses, I learned an incredible amount about the compassion required of a doctor. Dr. Michaels had been seeing many of these patients for over a decade and the close relationship they had built together was invaluable to the success of their treatment. From this experience, I can say with more confidence than ever that I would be delighted to pursue medicine in my life beyond Reed. It would be an honor to work alongside such intelligent professionals who are enthusiastic about improving their community and the health of those in it.